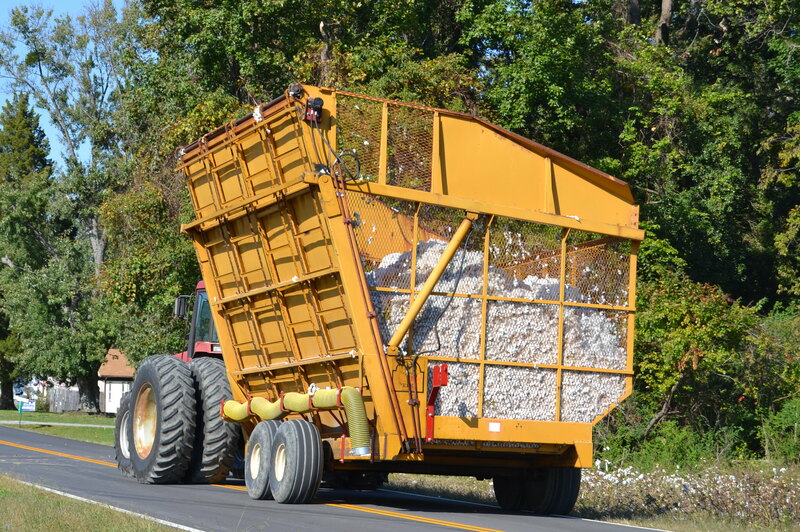 This entry was posted in Traveling Days and tagged boll buggy, cotton fields, cotton modules. Bookmark the permalink. I’ll be sure to share this with Connor when I see him next. Excellent job, I don’t know this could be the start of a new career. I thoroughly enjoyed this! 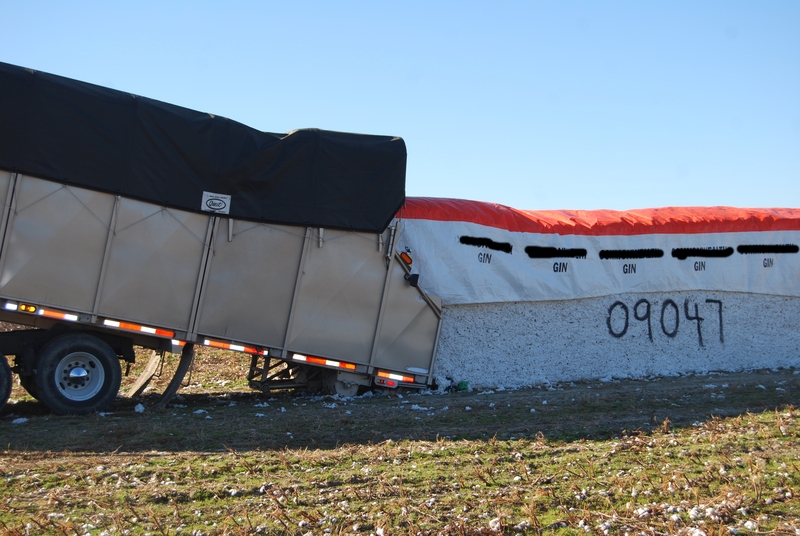 All the years I lived around cotton and never knew the entire story. Thanks so much for taking the time to do it. I always enjoy your blogs – you have a wonderful delivery! Donna, That’s a former career for Dianna….where do you think she learned so much about it!!? When I was growing up, I only remember seeing one field of cotton. But in the last years, it’s become popular again! As a farm girl who grew up with wheat, oats, alfalfa, mustard and rye, I’d heard about “cotton bolls” but never, ever seen them. Cool post! It makes me wonder about all the people who used to pick by hand and how hard that work was before all the machinery featured above. This is really really interesting! I always learn new stuff over here at Dianna’s place! And by the way, I once had a kitty named Cotton Picker — he was SUCH a rascal! WOW….super interesting and great photos to illustrate. I never really knew the precise process but it’s quite involved! 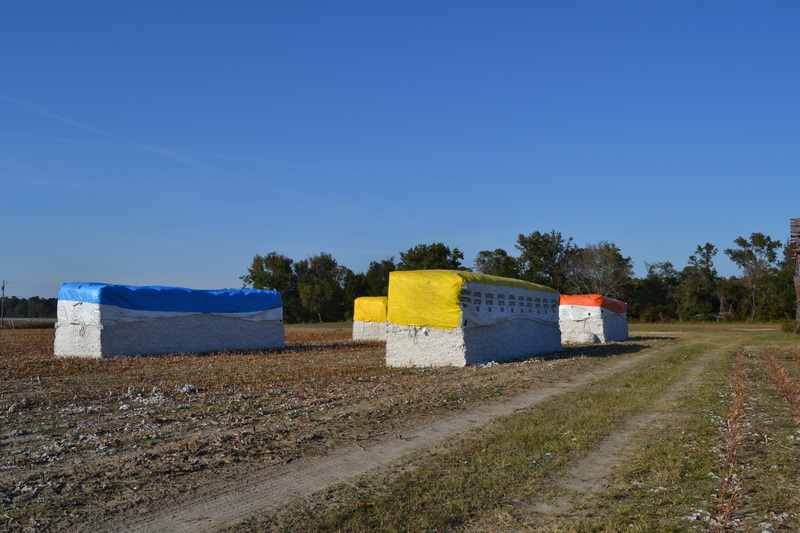 I do know though that I’ve always liked seeing those tarped bales in a field – like giant marshmallows. Good job with your cotton pickin’ explanation/demo Dianna!! Pictures are great! Captions are perfect. Thanks for another day in the life of Diane! Very cool! Our small community is mostly farming and ranching. Wheat, milo, corn, but, no cotton. This is really interesting-Thanks! Even though I grew up in the area and my dad was a farmer, cotton was not grown there at that time (as June mentioned). On a trip back to Surry years ago, I saw a cotton field and thought what it that??!! So this is all new to me too. It is absolutely beautiful to see growing in the fields. Thanks so much for sharing the process! 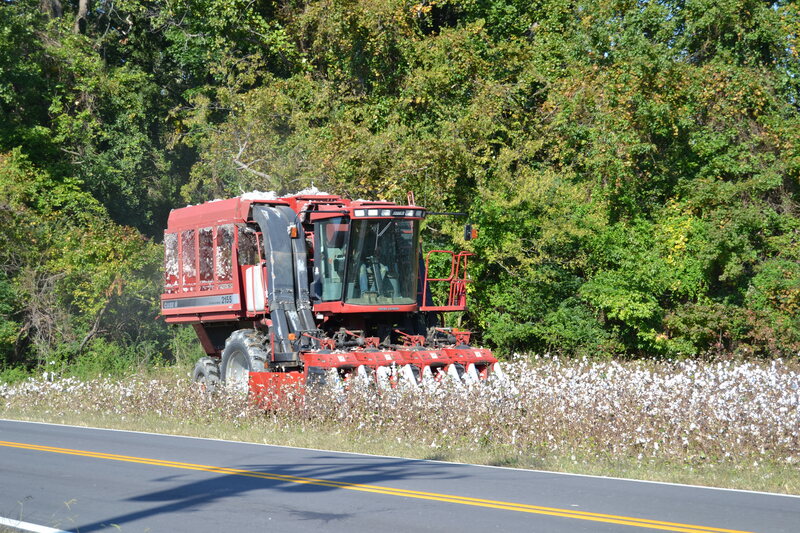 I’m definitely no stranger to the sight of cotton fields but have never watched the process. Great post! I’ll have to show this to Dracen if I think about it this afternoon. He loves to know how things happen/work! 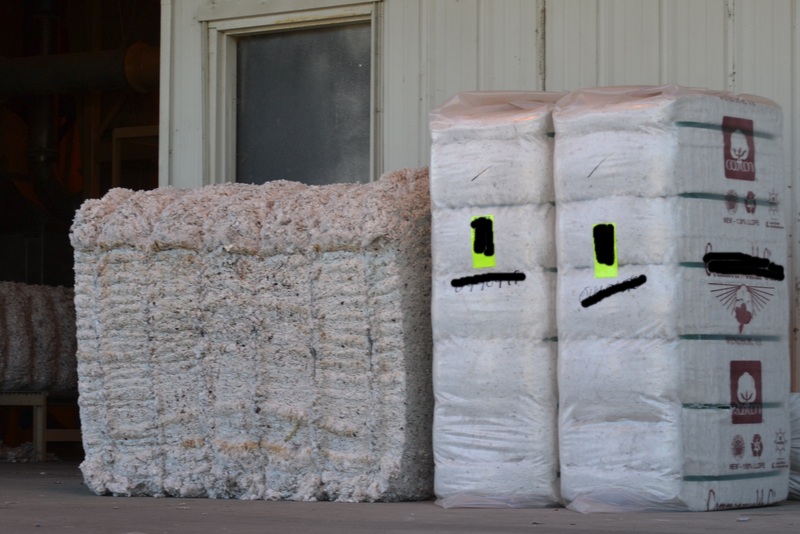 And a very interesting cotton-pickin’ story! I have seen some cotton fields in our earlier military travels but never gave it much thought. We get a little older and I am sorry I didn’t learn about those things. Great post Dianna, learn something new everyday and that is always a very good thing. I always think of Sally Fields and the movie “Places in the Heart” when I see cotton. How bad their hands hurt when they picked the cotton. Thank you for this explanation. When I was in junior hi we lived in Huntsville, AL. Our house was in Jones Valley a good drive to school. The reason it was a good drive away was we had to pass fields of cotton. I think AL was considered a cotton capital. Then south of us was Enterprise, AL where they actually have a monument erected to the boll weevil. Very interesting post. Wow ~ all I could think of when I saw the first photo was Sally Field and Danny Glover in the movie Places in the Heart – a beautiful film! But their poor hands were just destroyed from picking the cotton…it was intense. Good to see how this is done now! Amazing. Just amazing! And there it is all tamped down and tarped on the ground! What strikes me is that they don’t have to worry about being overweight when they haul it and the fact that years ago all our crop harvesting was done by horses or by hand. Mind boggling what we invent to make our lives easier. 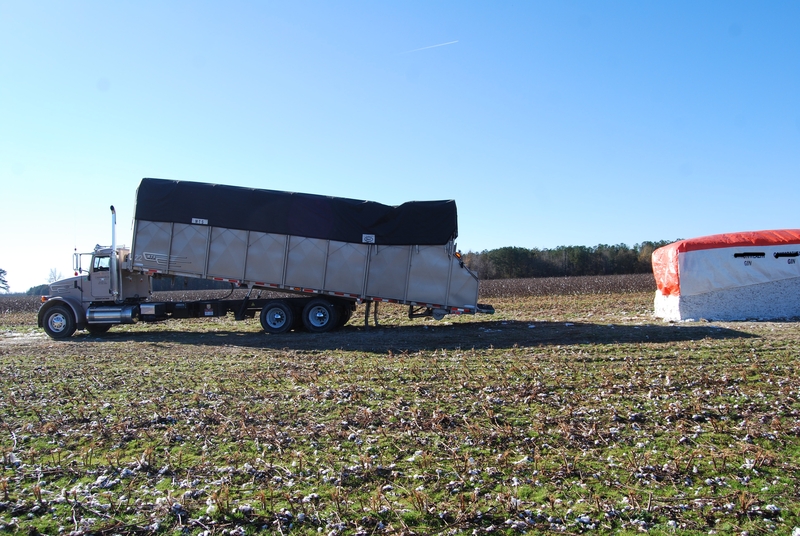 really neat to see the entire harvesting process! love those trucks that pick up the modules! 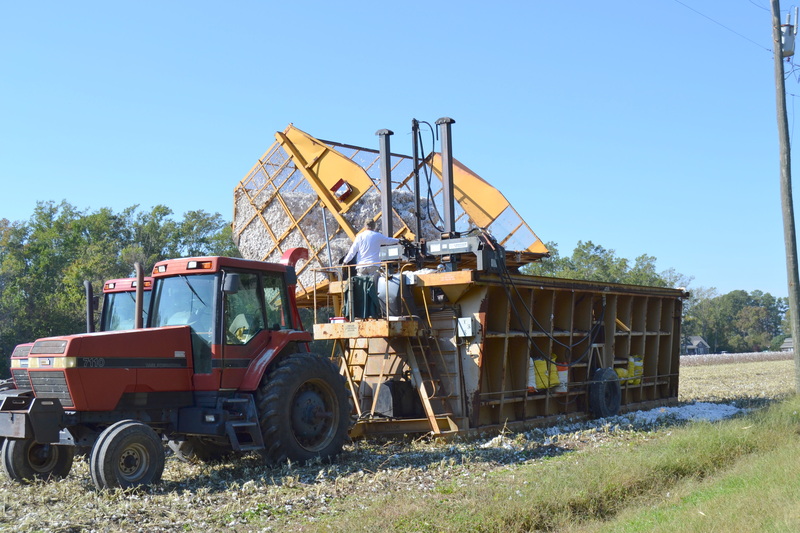 I love to see cotton growing here in VA. Great post explaining the process from beginning to end. 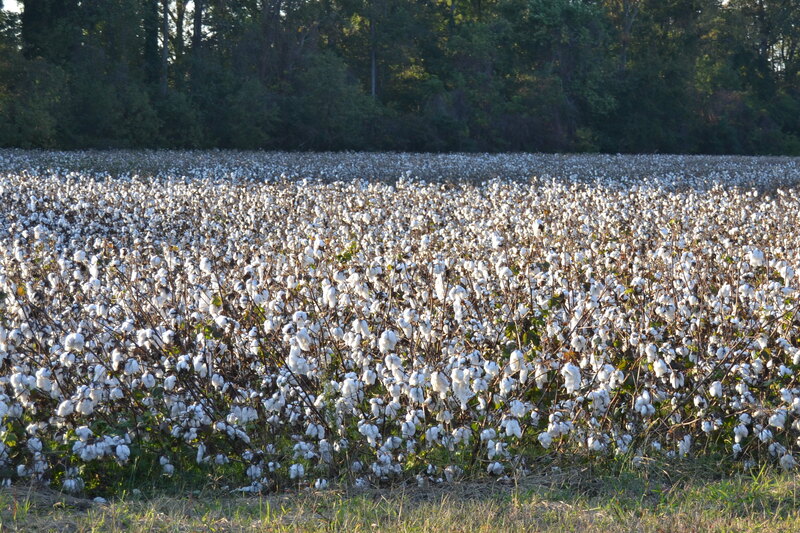 We saw some cotton fields on our trip this fall in the bootheel of MO on down into MS. The cotton was just beginning to open up. I wanted to stop and snitch one along the side of the road, but hubby wouldn’t let me. LOL! I really found the planes that were crop dusting very interesting to watch. Thanks for educating this ole Yankee! I’ve got lots of pictures of cotton and have painted one too! I love seeing the fields of cotton right before their picked! Leave it to our roving reporter to come up with the scoop! I’ll have to share this with hubby, he’s always curious about the cotton-pickin process. Thanks, Dianna! Bravo!! I knew it was involved, but had never seen all the steps laid out in the process … Great pics, great captions, great job !! Oooh….I love educational posts….I am going to share this one with the kids! Thanks, Dianna, for showing this to us. I’m always fascinated to see how other farm crops are harvested. You did an excellent job description here. Neat! 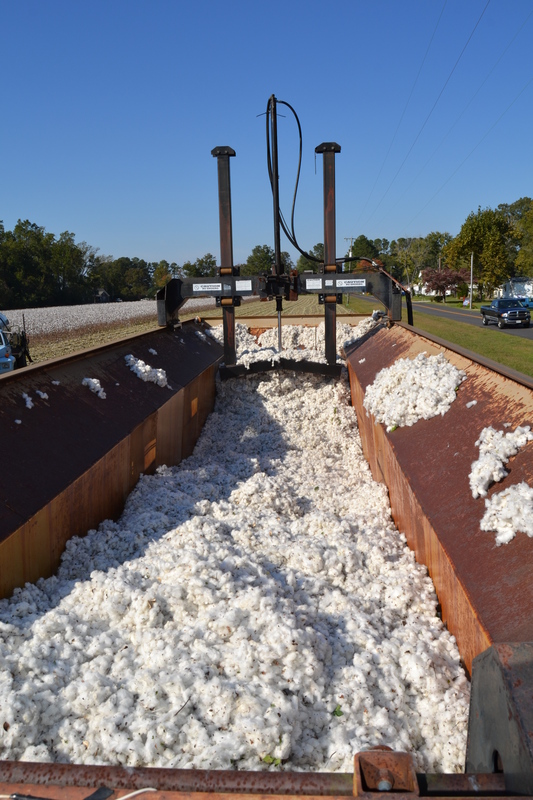 As a Northern girl who’s never lived in the South, I’ve wondered about the whole cotton pickin’ business on trips to Dixie. Thanks for the great explanation and pictures. That 5th picture just makes me want to jump right into that fluffy-looking stuff! Very interesting. I didn’t know anything about the picking and baling process. Thanks for the education, Dianna. I love this post. 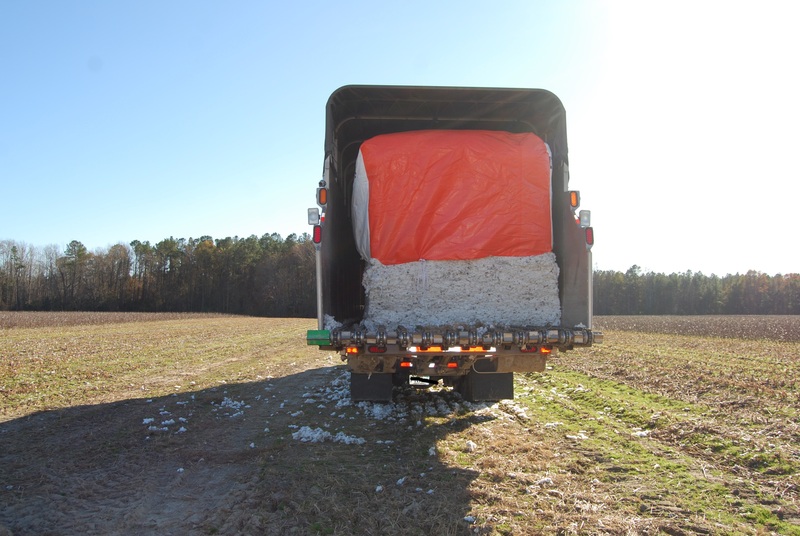 I’ve lived in the south most all my life and I never knew how the full process of getting the cotton to market. Cool! I love learning stuff like this. Very interesting seeing the process. I grew up on a crop farm, but we did not raise cotton. Thanks for sharing this.